In May of 2016, the UE Board of Trustees approved a modification to the UE alcohol policy. The new alcohol policy allows for the consumption of beer and wine under in compliance with certain guidelines. The new policy is grounded in General Provisions and Guiding Principles including compliance with State Law, acceptable behavior, and education. It also includes the Responsible Good Neighbor Exemption. The alcohol policy will be implemented in stages beginning in August 2016 with a full implementation planned for the Spring 2017 semester. Alcohol is limited to beer and wine, and may only be distributed and consumed in accordance with the Acceptable Use Guidelines outlined in the policy (see www.evansville.edu/alcoholpolicy/ and click on Policy Details.) All members of the UE community are expected to familiarize themselves with these policies. Alcohol is not permitted on campus outside of these Acceptable Use Guidelines regardless of one’s age. The alcohol policy includes “acceptable use guidelines” that all members of the university community are expected to follow. Alcohol outside of these guidelines is not permitted on campus. The guidelines are specific to University Approved Events and Programs, Tailgating at Varsity events, University house, and approved Greek social events. To review the policy and the Acceptable Use Guidelines, see www.evansville.edu/alcoholpolicy/. University Approved Events: For the fall 2016 semester, beer and wine may be served by a third party vendor at approved university events, see www.evansville.edu/alcoholpolicy/universityevents.cfm. Information regarding the application and request for approval will be distributed to University departments in the coming week. Please contact Kari Hughes, coordinator of special events and guest services, (812-488-5608), with any immediate questions regarding the application and approval process. Again this year, new students will gather in Neu Chapel on Tuesday morning for Prologue, which will serve as an introduction to the University's Academic Convocation. In a brief 13-minute session, students will be offered an introduction to their first University ceremony. Instead of simply wandering over to Carson Center as individuals, the Class of 2020 will be led by Mark Valenzuela, associate professor of civil engineering, and escorted by the campus community in a bagpipe processional, signaling the importance of community, integration, and transitions. During Prologue, the entering class will rehearse both University hymns in preparation for the Academic Convocation. They will be introduced to the meaning of pledging one's honor in an academic culture and in the presence of their faculty, and new students will learn more about the rich tradition of excellence at UE. The campus community is invited to attend Prologue, (reserved seating in the Neu Chapel Gallery, upstairs in the loft), which will begin promptly at 8:20 a.m. The procession will commence at 8:33 a.m., leaving from Neu Chapel, passing by the newly planted Bur Oak tree, which was planted last spring to celebrate the HLC process, then moving past Olmsted Hall and through Memorial Plaza, in front of Ridgway University Center and finally arriving at Carson Center. The campus community is also invited to stand near the processional route, wave, clap, and welcome new students as they process toward the beginning of their college career. President Thomas A. Kazee will preside over the 2016 Academic Convocation this Tuesday, August 25, at 8:50 a.m., in Carson Center. The Convocation will celebrate the University’s 159th opening and the 2016-17 academic year. Valenzuela will address incoming students during the Convocation. The Academic Convocation is an annual fall tradition at UE and welcomes new students to campus, awards honor to high achieving faculty, and brings the entire campus community together to celebrate the start of a new academic year. The importance of welcoming domestic and international students to our campus is woven into the fabric of our institution in many ways. First, moving from Moores Hill, the University was received by the city of Evansville and embraced by a community that understood the value of welcoming the stranger. Second, we are a United Methodist-related institution, and that church affiliation reminds us to extend a warm hand of fellowship to the other. Third, in an age where technology necessarily permeates our day-to-day operations and the online degree is touted as good enough, the University of Evansville holds sacred the human connection and believes it is our social responsibility to foster distinctive, personal attention in our rituals and ceremonies. On Tuesday, new students will be invited to stand during Convocation, shoulder-to-shoulder, while reciting the University Honor Code, representing what the University values: integrity, community, and a public hospitality that invites all students to stand together on the eve of the first day of classes. The communal reciting of the Honor Code transcends differences and unites an entire freshman class as they stand in front of their faculty and the University president promising to be responsible citizens of the University. Moreover, those few seconds of intentional silence, just before Michael Austin, executive vice president for academic affairs, leads students in their Honor Code recitation, speak to the profound importance of pledging one's honor to a global community of your peers. This ritualized scene is a dramatic shift from the geopolitical shambles we view each night on cable news and should cause our students and the entire campus community to take seriously our call to live as responsible citizens in the world. For those unable to attend, the event can be watched live here. In March 2016, the College Board began administering the new SAT, or the SAT-R, in place of the old SAT (SAT-1). In this switch of tests, the SAT again became a 2-part exam (CR and M), with a top score of 1600, and has departed from the 3-section 2400 scale. These scores were delivered to students AND colleges in May 2016, leaving no time for colleges to be ready for student's immediate questions surrounding "what does this score mean and how does it compare?" In light of this timing, the higher education world is now starting to deliver more specific answers to students after being able to work with the 15 page concordance chart provided by College Board (SAT). While still being called SAT, the new SAT is very different from the old SAT. Student's scores are trending higher, leading students to believe they've improved, while the concordance charts may indicate similar performance. It is for this reason that the UE Office of Admission will utilize three different exams to evaluate student applications for the Fall 2017 cycle and beyond. From these three exams, we will concord the scores into one testing value for the purpose of attempting a common data point and administration of scholarships. As the three exams - ACT, SAT-R (new), and SAT-1 (old) - are very different, concordances are not a simple evaluation. In short, these are three different exams. What does this mean for me or my program? First, we will only superscore within exams and not mix exams. Next, if you have a direct entry program, you will need to develop direct entry requirements for all three exams (ACT, SAT-R, and SAT-1). While questions may exist, the questions are definitely industry wide and not isolated to the University of Evansville. Feel free to check out our test policy page on the website, which is meant to offer guidance to students in the current moment. Another tool you may like to check out is the College Board website, which provides multiple points of information including concordance tables. While test scores can offer value and demonstrate a common evaluation point, the University of Evansville student is much more than a test score. We will continue to work with students holistically and not just based on their composite test score. If you have any questions, please reach out to Shane Davidson at sd10@evansville.edu. A press conference will be held on Monday, August 22, at 1:00 p.m. to announce details of the Peters-Margedant house’s move through town to the University of Evansville campus. The press conference will be held at the Melvin Peterson Gallery and the campus community is welcome to attend. Ladies in Pink, UE's all-female a capella group, is hosting auditions on September 3 at 6:00 p.m. in Room 142 in the Krannert Hall of Fine Arts. All UE female undergraduate students are invited to audition. Please prepare a one-minute cut of a pop song that shows your vocal range. And of course, come show us your beatboxing skills as well! HRA screenings will be held September 6, 7, and 8 in the basement of Neu Chapel. Sign up for your screening through AceLink. Each employee can reserve two appointment slots to include their spouse. A 12-hour fast is encouraged for your screening. Water and black coffee are permitted during your fast. Please contact Ashley Chipps with any questions at 812-306-8885. Students, faculty, administrators, and staff who sport the UE State of Indiana license plate in 2016 (new and renewal plates) will receive a $25 discount off the UE parking permit fee for 2016-17. The registration process for the plates is now handled through the state. If you want to purchase or renew a UE plate, go here. If you already have your 2016 UE plate, bring your State of Indiana vehicle registration to the Office of Safety and Security when you purchase your parking permit for the new academic year. If you have not registered your vehicle yet, you will need to pay the full parking permit fee and then bring your registration to the Office of Safety and Security to get a credit for $25. Flag football officials training will be held on Thursday, August 25. No experience required, e-mail Maria Tonry at mt208@evansville.edu for more details! UE Jazz Ensemble auditions will take place on Wednesday, August 24, from 7:00-9:30 p.m. in Room 144 in the Krannert Hall of Fine Arts. The audition sign-up sheet is located on the door of professor of music Timothy Zifer’s office, which is also in Room 144. Audition excerpts can be found here. Wednesday, August 24, from 7:30-9:30 p.m.
Thursday, August 25, from 3:00-9:00 p.m.
A sign-up sheet is available on the UE Bands bulletin board in the Krannert Hall of Fine Arts. The audition will consist of prepared excerpts, scales, and sight-reading. If you have questions, contact Kenneth Steinsultz, associate professor of music and director of bands, at ks306@evansville.edu. Do you love to sing? Be a part of UE’s choral program! Auditions for University of Evansville’s esteemed choir program will be held Monday, August 22, Tuesday, August 23, and Wednesday, August 24. Come to Room 104B in the Krannert Hall of fine Arts to sign up for an audition time. The audition takes about 10 minutes and you do not need to prepare any music in advance. Contact Dennis Malfatti, director of choral activities, for more information at dm155@evansville.edu. Are you an instrumentalist? Do you like playing in an orchestra? Don’t miss this opportunity to join the excellent orchestras at the University of Evansville! Students with experience in string orchestras or symphony orchestras are invited to audition and participate in UE orchestras. Membership in all orchestras is open to any student, regardless or major, classification, and experience level. Auditions will be held during the first week of classes (August 24-26). The University Symphony Orchestra plays symphonic music (woodwinds, brass, percussion, and strings) and meets twice a week: Mondays from 5:30-7:30 p.m. and Wednesdays from 4:00-6:00 p.m. Two formal concerts per semester are scheduled, along with a few smaller performances. The String Ensemble rehearses and performs an eclectic mix of string orchestra music. Along with one formal concert per semester, the String Ensemble performs in the community as an outreach to persons who are not able to attend orchestra concerts (those in hospitals, nursing homes, etc.). The String Ensemble meets once a week, Thursdays from 4:00-4:50 p.m.
For more information about the orchestras or the auditions, please visit the University of Evansville orchestra website or e-mail cc319@evansville.edu. If you are interested in being a flag football official for fall's first intramural sport, e-mail mt208@evansville.edu. No experience is necessary. Registration is now open for the intramural flag football and sand volleyball season! You can register here. The season starts on Monday, August 29. The 2016-17 parking permits are now available for purchase in the Office of Safety and Security. Current permits have expired. The new permits will be sold between 8:00 a.m.–4:00 p.m., Monday through Friday. The price remains $50 for the academic year. Employees will once more be able to use payroll deduction to pay for their permits. The Office of Development and Alumni Relations is pleased to welcome Jamie Purcell to the University as the new corporate and foundation relations officer. Jamie formerly served as the director of the Office of National Fellowships at Florida State University. She holds a bachelor of arts degree from Western Kentucky University, a master of science from Florida State University, and a master of business administration from the University of Southern Indiana. Jamie is responsible for coordinating University relationships with corporations and foundations to secure both restricted and unrestricted gifts. Her office is located in the Igleheart Building. Please join us in giving Jamie a warm UE welcome! The August Pcard cycle that began on July 22 will end on August 22. Transactions may be reconciled through the month and reports printed starting August 24 until the GL lockout on August 29. Associate professor of education Matthew Knoester will be presenting a paper on a panel entitled "Global Struggles for Critical Democratic Education" at the XVI World Congress of Comparative Education Societies in Beijing, China, on August 26. University chaplain Tamara Gieselman has been invited by Religions for Peace USA to serve as a member of the Our Muslim Neighbor Institute, which will focus on Islamophobia in America. The Institute will convene for the inaugural gathering this fall at Sewanee: The University of the South. Religions for Peace USA is the largest and most broadly-based representative multi-religious forum in the United States, with participants from more than 50 religious communities, representing each of the major faith traditions. The organization identifies shared commitments among religious communities in the US, enhances mutual understanding among these communities, and facilitates collaboration to address issues of common concern. RFPUSA's mission is to inspire and advance common actions for peace through multi-religious cooperation among our nation’s religious communities. Katie Aldred '09, assistant professor of biology, recently attended the Gordon Research Seminar and Conference on DNA Topoisomerases in Biology and Medicine at Sunday River in Newry, Maine. She was invited to give the keynote address at the seminar. She also sat on a career panel. Aldred’s keynote address focused on her path to becoming a member of the faculty at UE and the UExplore-funded summer research on quinolone interactions with E. coli gyrase that she conducted this summer with biology students Hannah Carter and Baylee Wildman. The panel focused on various career paths that can be taken that maintain a focus on topoisomerase research and where the future of the topoisomerase field lies. The Gordon Research Conferences and Seminars provide an international forum for the presentation and discussion of frontier research in the biological, chemical, and physical sciences, and their related technologies, with a focus on presentation and discussion of pre-publication research. Atefeh Yazdanparast, assistant professor of marketing, and Lora Becker, associate professor of psychology and neuroscience director, presented their global scholar study at the 2016 Global Marketing Conference at Hong Kong on July 21-24. Their paper Emotions and cosmetic surgery motivations across cultures: A Neuromarketing investigation was presented in the Neuromarketing Science and Business Association/Global Research and Business Social Platform for Marketing and Management. The conference boasted a representation of 51 countries. An article by UE student Choudhury (Spike) Yusuf, a biology and neuroscience major with a minor in ethics, and David Pollock '78 has been published in Life Sciences. The article is titled Ovarian hormones modulate endothelin A and B receptor expression. This work was done during Yusuf's 2015 summer research experience in Pollock's lab. Pollock is a professor in the Division of Nephrology in the Department of Medicine, University of Alabama at Birmingham. Pollock, who earned a Bachelor’ of Science in biology at UE, is a world-renowned scientist whose research program addresses questions related to mechanisms of endothelin control of renal hemodynamics and excretory function. Consortium professor of flute Cara Dailey won first prize in the biennial Piccolo Artist Competition at the 2016 National Flute Association Convention in San Diego, California. As a competitor, Dailey performed two recitals at the convention - first as one of six semifinalists, and then as one of three finalists. Each recital consisted of different repertoire, including works by Antonio Vivaldi and Robert Beaser, as well as Stephen Hough’s Paradise, a new work commissioned for the 2016 Piccolo Artist Competition. The National Flute Association is the largest flute organization in the world, with 5,000 members from more than 50 countries. 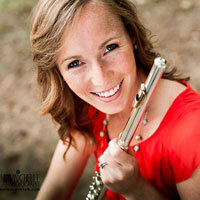 Dailey has been a member of UE’s music faculty since 2013 and is also principal flutist with the Evansville Philharmonic Orchestra. The prize committee of the Historical Astronomy Division of the American Astronomical Society has awarded the 2017 Donald E. Osterbrock Book Prize for Historical Astronomy to the editor and all authors of individual entries in the Biographical Encyclopedia of Astronomers. Anthony Beavers, UE professor of philosophy and director of the Cognitive Science Modeling Lab,was one of the authors who received the prize. Beavers was the author of two short contributions, Anaximander of Melitus and Heraclitus of Ephesus. This marks the second book award given to compilations that include works by Beavers. The other was Alan Turing: His Work and Impact, edited by S. Barry Cooper and Jan van Leeuwin, which won the 2013 R. R. Hawkins Award from the Association of American Publishers for Best Text in the Arts and Sciences. It also received the 2013 AAP PROSE Awards for Best Text in the Physical Sciences & Mathematics. Beavers' contribution to this latter volume is the prefatory article. Alan Turing: Mathematical Mechanist, that introduces Turing's 1947 Address to the London Mathematical Society. Lisa Kretz, assistant professor of philosophy, has had her paper accepted for presentation at the annual International Conference on Ethics Across the Curriculum. The title of the paper is Teaching Meditation, Teaching Ethics. It focuses on the dual process theory of mind and the associated automaticity of ethical judgment, as well as the positive role meditation can offer for intentional ethical behavior. Bronwyn Boswell netted a first half brace on Sunday afternoon, and that would prove enough for the University of Evansville Women’s Soccer team as the Purple Aces picked up a 2-0 victory over Miami (Ohio) at Miami Soccer Field. With the win, the Aces moved to 1-1 on the year, and Miami fell to 0-2. UE wasted little time in getting things started, thanks in large part to Boswell drawing a foul on the left side of the 18-yard box in the ninth minute. The senior out of Frisco, Texas, would also walk to the penalty spot moments later and slot it home for the opening goal of the season for the Purple Aces. Montana Portenier, who had an effort saved a few minutes later, would play a major role in the match’s second score. After Sara Osinski played the Canadian junior into space, Portenier saw her shot saved by Miami goalkeeper Vic Maniaci. However, Boswell was there to mop it up for her second score of the contest. Boswell, a preseason All-Missouri Valley honoree, entered the day with 14 career goals. Sunday marked the third double of her career and the first since 2014. The Aces would continue to serve as the main aggressors in the first 20 minutes of the second half as well, ultimately finishing the day with 14 shots, including an impressive 11 that were steered on target. Miami started to string together chances late in the game, but were only able to put five of their 15 attempts on target. Whitney Biggs finished the day with five saves, recording her first clean sheet of the season in the process. The Aces will return to action in next Friday’s home opener at Arad McCutchan Stadium. Cincinnati will pay a visit to town, and kickoff is slated for 7:00 p.m.